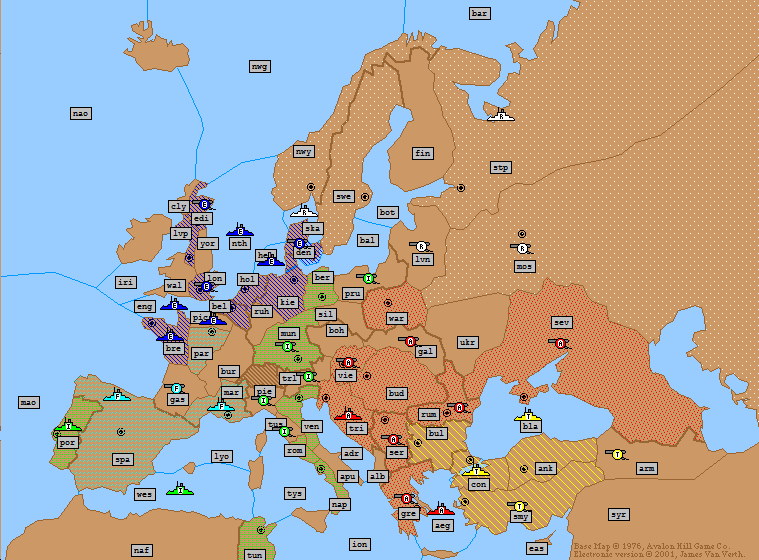 Very interesting game of Diplomacy. Now in it’s 4th Year. Usually at this point a clear winner would be visible but not in this case. Who’s got what it takes to win this? who knows!